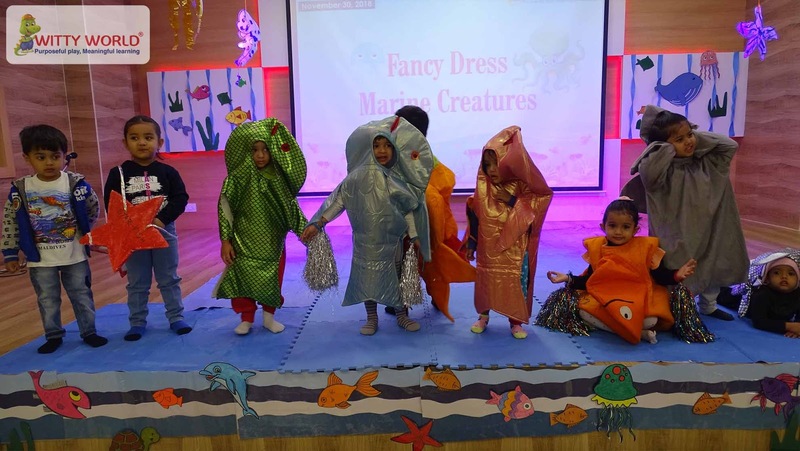 The shells on the beach are as pretty as pie. ‘Fancy Dress’ was held on Friday, December 30, 2018 in Playgroup at Witty World, Bhilwara. 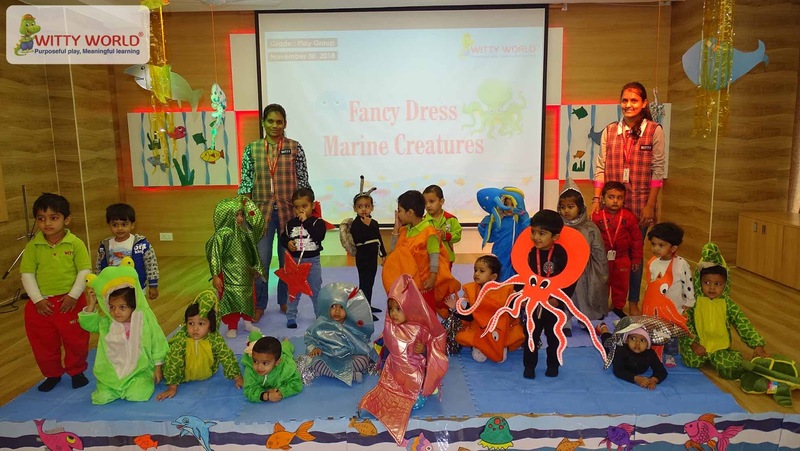 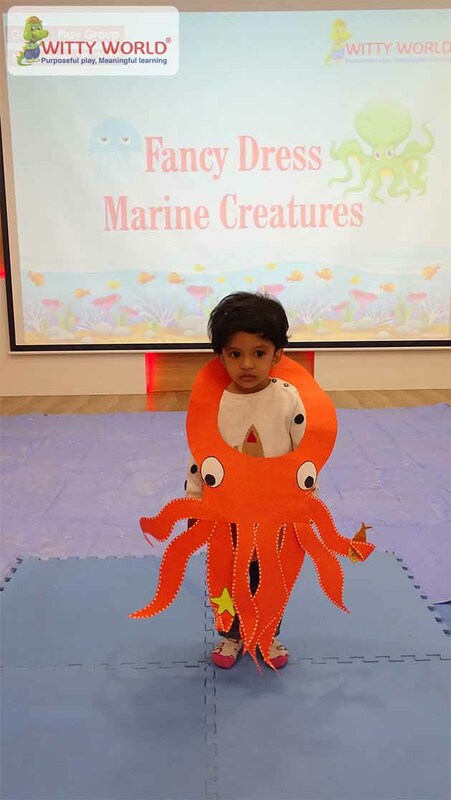 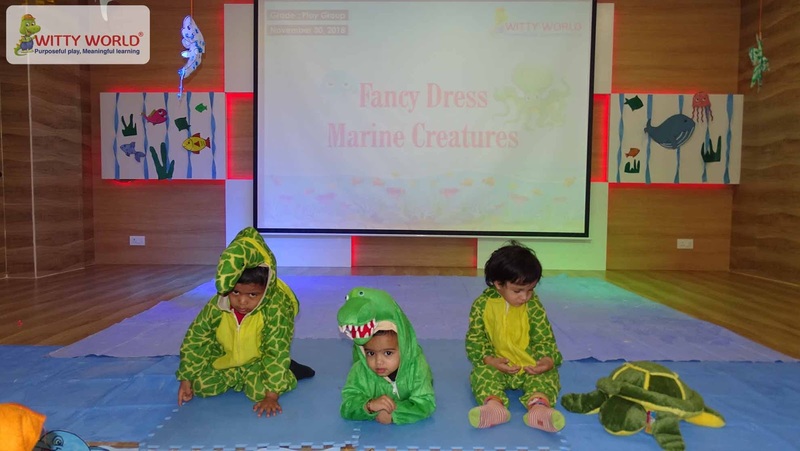 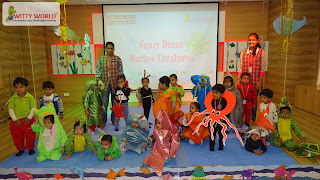 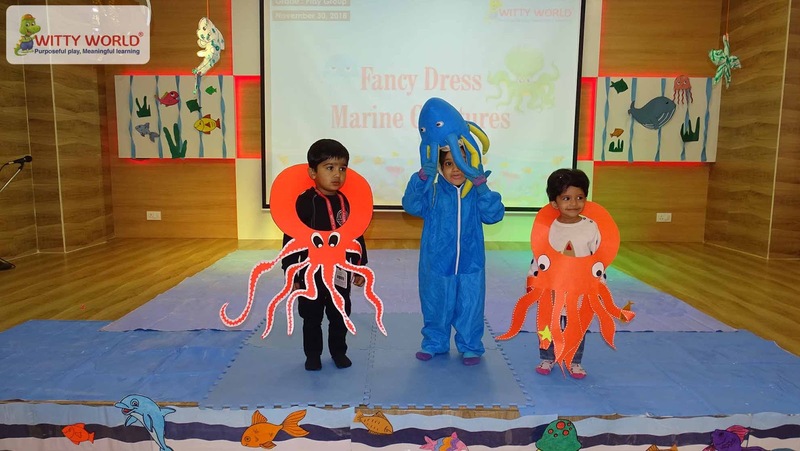 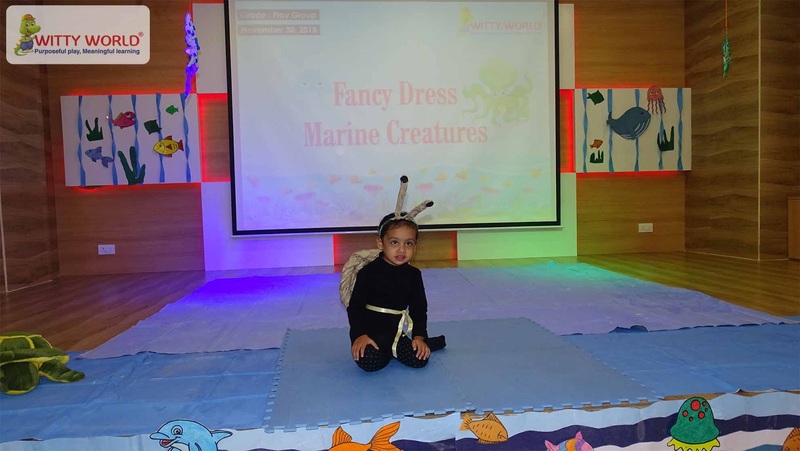 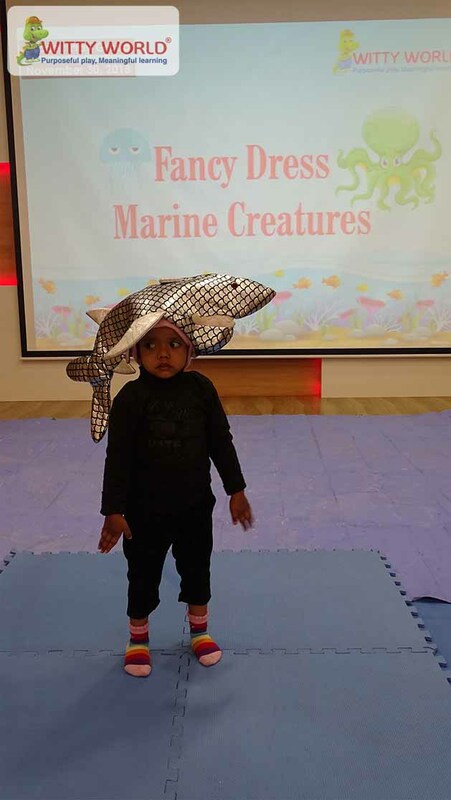 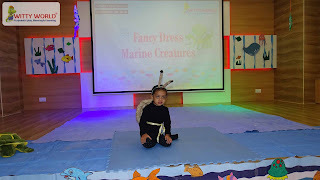 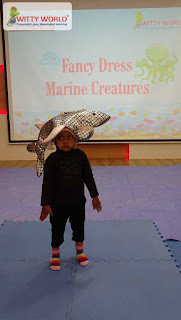 Children wore their favourite Marine creatures dress & spoke about it .Children were amused to see their friends dressed as other creature’s like turtle, starfish, frog, dolphin etc. It was a creative learning experience for the toddlers. 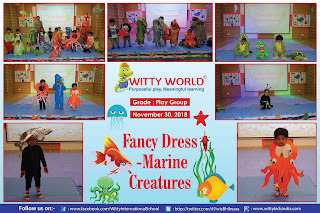 Certificates were given to kids. It was a fun loving way of learning.